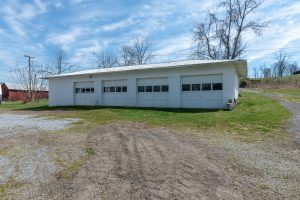 27580 Hillman Highway, Meadowview, VA | Highlands Realty Inc. 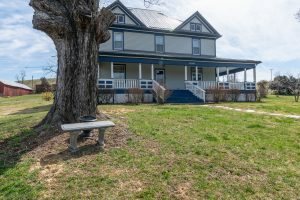 Relax & unwind with this renovated farmhouse on over 2 acres. Home features 5 bedrooms, 5 full baths and over 3,700 sq. 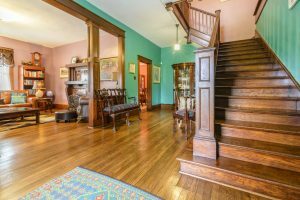 ft. You will love all the charm & character this one has to offer, from the wrap-around porch to the detailed woodwork! 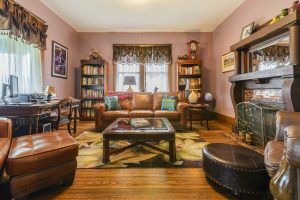 Entering the home you will find 2 large living spaces both complete with fireplaces. The kitchen is a dream! It features all stainless steel appliances including a 60” five-star double gas range and double wall oven. 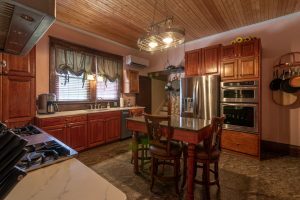 You will love the quartz counter tops and new solid wood cabinets. And the center island is perfect for all your meal prepping! The spacious laundry room will make laundry less of a hassle with plenty of cabinet storage, large table for folding, separate sink for pre-washing stains, and gas dryer for ease of completing laundry day. 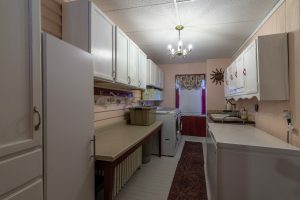 Outside of the home does not disappoint with a 4-car garage, outbuilding with electricity, plenty of space for parking including 30 AMP RV hook-up, and large yard with space for a garden. The location of this home is hard to beat! 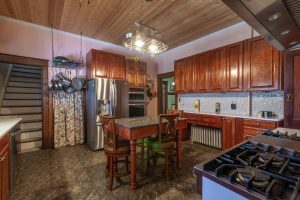 Enjoy the country life while being only approximately 2 miles to the Interstate. 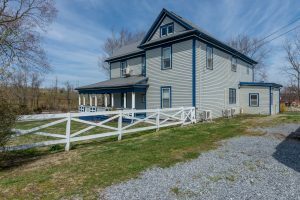 Don’t wait to see this updated home; schedule your tour of 27580 Hillman Highway, Meadowview, VA today!